The retinal pigment epithelium (RPE) is one of the structures in the eye that is affected in retinitis pigmentosa, along with the photoreceptors – rods and cones. The genetic defects in retinitis pigmentosa causes these structures to die (apoptosis). The rods are predominantly affected. 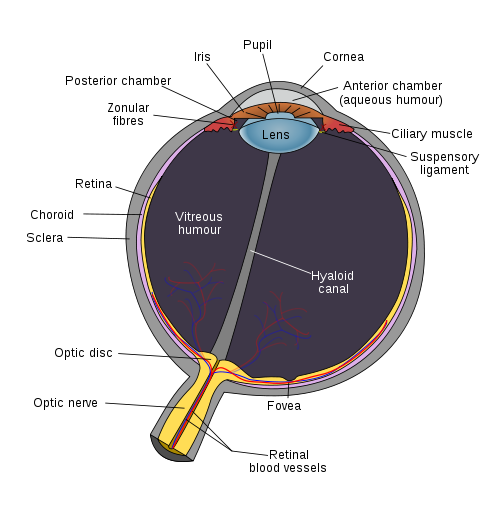 First the rods shorten and then eventually die, more so towards the mid periphery of the retina. This cell death of rods leads to vision loss. Cone cell death occurs in a similar way. However, it usually occurs later in retinitis pigmentosa. There is no cure for retinitis pigmentosa at this point in time. There is also no conclusive indication that preventative measures may work for retinitis pigmentosa although practitioners may recommend a diet rich in fruits and vegetables, especially leafy green vegetables. In addition non-toxic doses of certain vitamins and minerals may be recommended. Light stress may have some role to play in the development of retinitis pigmentosa and it is therefore recommended that UV protective eye wear be used. It is important to note that not all these supplements and drugs may be beneficial. Furthermore these treatment measures cannot reverse the condition but may play some role in slowing its progression.